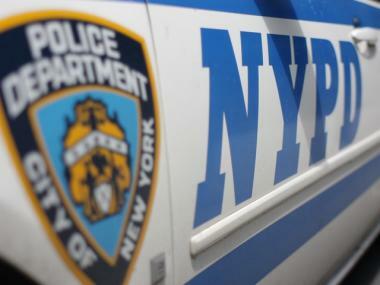 Two NYPD officers were indicted on corruption charges, the DA said Thursday. MANHATTAN SUPREME COURT — A Manhattan North police sergeant and a junior police officer were indicted on charges they made illegal searches and arrests and then lied in court about the incidents, the Manhattan District Attorney said Thursday. Sergeant William Eiseman, 41, fabricated facts to justify searching vehicles and homes for cocaine, marijuana and guns, prosecutors claimed in court documents. In once instance, Eiseman illegally searched the iPhone of a drug suspect parked in a mini-van near 135th Street and Broadway for incriminating photos, according to court papers filed by the DA. The ranking officer used the photos to get a search warrant to enter the apartment of the drug suspect, Antoine Melville. Eiseman then lied about the incident during a Manhattan Supreme Court hearing in August 2007, claiming the smell of marijuana smoke emanating from Melville's van gave him cause to make the searches. Eiseman faces similar charges in three other allegedly illegal searches. Prosecutors also charged Michael Carsey, 29, a junior officer under the supervision of Eiseman, with lying about the Melville arrest. Both officers, who are now suspended from duty, were charged with perjury and official misconduct, among other charges. Eiseman was also charged with evidence tampering. The two officers were released from court custody on their own recognisance at their arraignment Thursday, which was not attended by reporters and photographers because the DA's office did not provide advance notice. An announcement regarding the arraignment was sent out only after it happened. The officers' corruption charges were revealed one day after ex-police officer Patrick Pogan, facing up to four years in prison for a falsifying records conviction, was granted a reprieve from a jail sentence by a Manhattan judge. Pogan had been convicted of lying on court papers about shoving a Critical Mass cyclist to the ground in an incident caught on video.